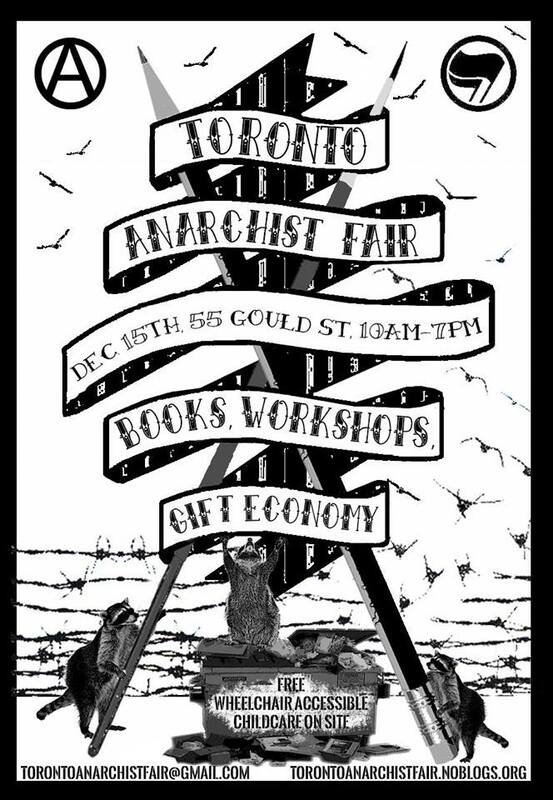 I’ll be tabling at the Toronto Anarchist Fair this weekend – Sunday, December 15th from 10am-7pm. Please come say hello and check out some zines! There are all kindsa rad events going on over the course of the next few days, like workshops and panels and even a bus going to Lindsay to demonstrate against the indefinite detention of migrants; check out the full list on the Facebook event. After that, I’ll be sticking around Ontario for a bit to visit my family, work on some projects, and relax. The distro will be on hiatus for a few weeks, but I’ll be back late-December. Take care and stay cozy!